I moved to Richmond Hill, Ontario when I was only 4 years old back in 1983 when there was roughly 40, 000 inhabitants or less than 1/5 of it’s current population. I have always felt a strong tie to this town and take great pride in being a resident for over 30 years. In that time I’ve witnessed the city of Richmond Hill change from a small town to a city with towering condo’s being developed on Yonge St. Small homes are now being replaced with giant mansions and traffic is comparable to driving downtown Toronto. 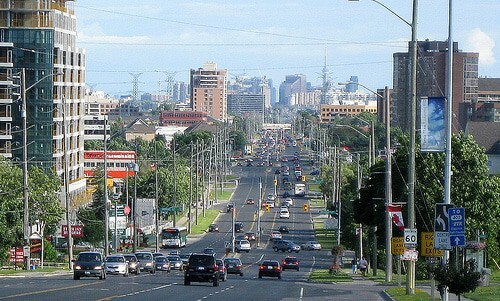 Along with the growth of the population, Richmond Hill has also seen a growth in it’s very own local economy. From the many small businesses in the downtown core along Yonge St to large corporations in the Beaver Creek area. NexToronto Web Development & Internet Marketing has taken membership to the Richmond Hill Chamber of Commerce to become part of the local business community and to connect with local companies who are looking to improve their online presence. Today’s having a strong online presence which is inline with your brand is almost essential to a businesses success. NexToronto stands apart from our competition because we take great pride in seeing our companies succeed. Now we offer our expertise to the local businesses in Richmond Hill. Whether you are a startup or a large corporation located in Richmond Hill, we would like to extend our professional web development and online services to help your business grow. Contact NexToronto today and find out how we can help you make a statement on the internet.